During the first weekend of February, a group of almost 70 Kehilla members gathered for the first Leadership Retreat. With the four stated goals of making connections, creating a shared narrative, better understanding leadership, and envisioning the future, participants linked with one another in an effort to reflect deeply on the future of Kehilla. A brief review of the weekend follows. Our aim was to connect beyond differences and build relationships that support our diversity within Kehilla’s greater structure. 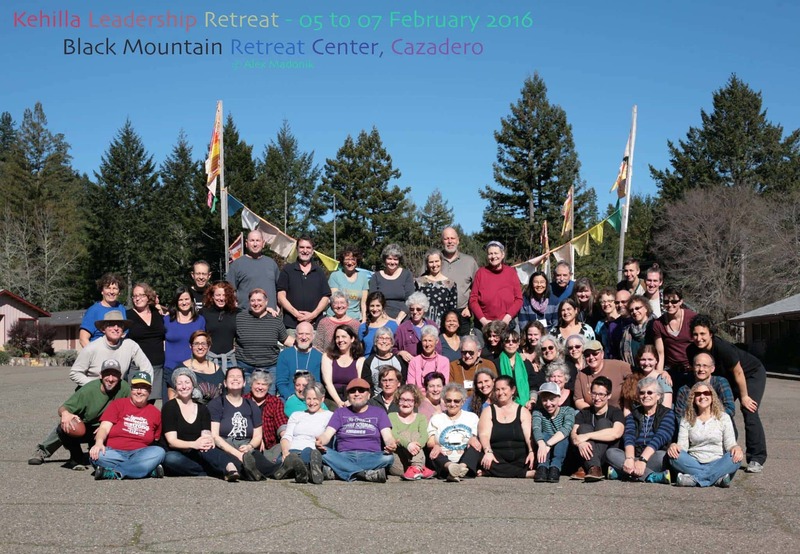 By design, many of the participants at the retreat had never met one another. It was our desire to create deeper connections and get to know one another better, building a more cohesive community. Collectively we participated in various group activities- thinking, moving, writing, and sharing our perspectives of who we are as Kehilla and where we have been. We paid close attention to the process of defining our history and values. Developing a shared narrative of Kehilla’s story occurred through a history wall created by all participants as well as regular doses of stories from tradition and emerging leaders. We heard from Rabbi Burt, Rabbi David, Hazzan Shulamit, Malka Stover-Kemp and Nancy Feinstein, each sharing reflections of personal and social growth. Discussing how leadership has evolved as Kehilla has grown, and how individuals think and feel about leadership, highlighted the experiences of distinct groups at Kehilla including young adults, committee members, parents from the school, board members, peace and social activitists, and staff, just to name a few. Issues that surfaced included race, socioeconomic status, age and gender balance. As the weekend closed with a visioning process, shared dreams, diverse visions, and uncertainty for the future emerged with strong feelings. Kehilla has been a safe place, and also a difficult place for individuals and families, particularly in terms of being seen and fully heard. Creating a space for this to be heard was an important step in securing our future. Joy, sorrow, and deep expressions of appreciation punctuated the weekend. The retreat invited everyone to find their path to leadership at Kehilla. Looking beyond the shared vision of the organizers, that leadership can and will emerge throughout the community. Look for the Annual Community Meeting on Wednesday, May 18, May 2, 7:00-9:30pm to find out more about our findings and how this event is impacting the future. Time will be devoted for sharing more of the results, as well as an opportunity for the larger community to learn about the experience. As members find ways of leading the congregation through our fourth decade as a community, input from the community as to how we can work together as Kehilla evolves and grows is key.